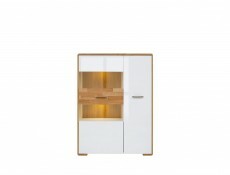 - Is a modern, yet functional interior what you really need? 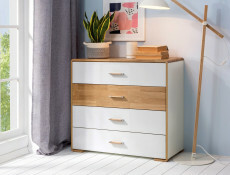 Make sure you have enough storage space for all your favourite knick-knacks. 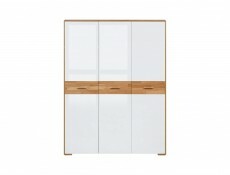 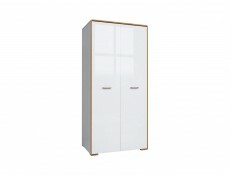 Have a look at our modern Bari glass cabinet. 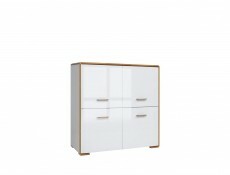 - High gloss finish front surface enhances the modern character of the design. 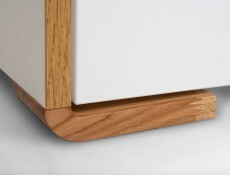 Thanks to the glossy finish, the fronts perfectly reflect the light, making the interior visually more spacious. 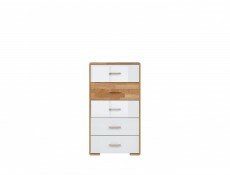 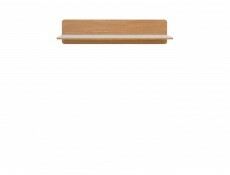 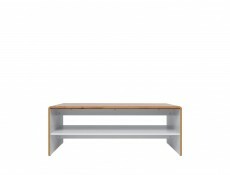 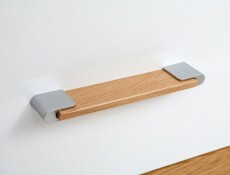 The glossy white is then contrasted by a front element made entirely of natural wood. 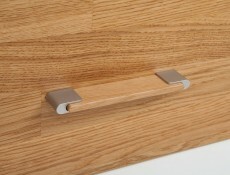 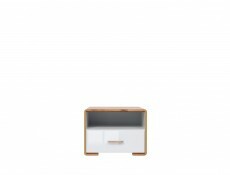 - The sturdy top and legs are made of oak wood. 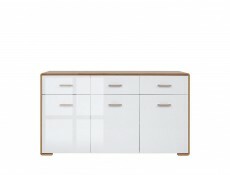 Its natural beauty is brought out by the stained and varnished surfaces which emphasize the extraordinary beautiful grain and texture of natural material. - Strong tempered glass guarantees the safe use of the piece as it is highly resistant to scratches and shatters. 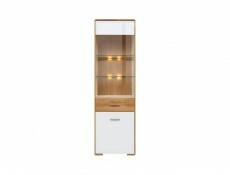 - The elegance of glass shelves is emphasized by energy-efficient LED lighting installed inside the cabinet. 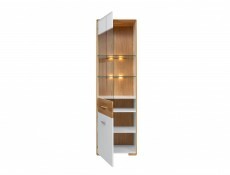 - Bari modern system will meet the needs of even the most demanding customers. 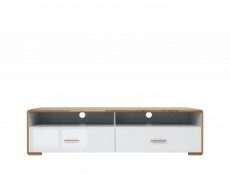 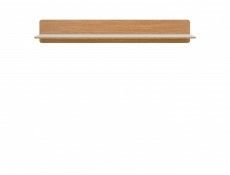 This line, combining natural wood and glossy fronts, perfectly blends traditional materials with modern design. 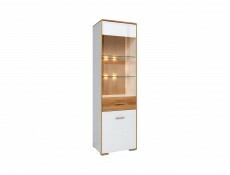 It is most suitable for the living room, dining room or a cosy bedroom for two.